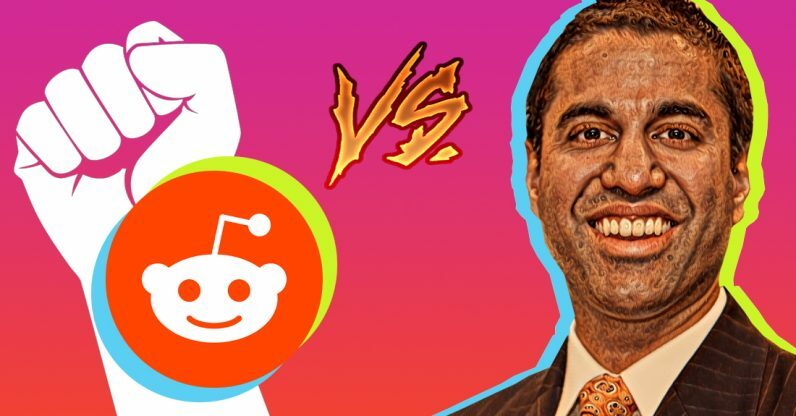 Reddit might have occasionally played host to controversial debates and scandals since its inception in 2005, but in a beautiful turn of events, the members of the self-proclaimed “front page of the internet” are standing united against the common evil: the FCC and its non-sensical plan to slay net neutrality. 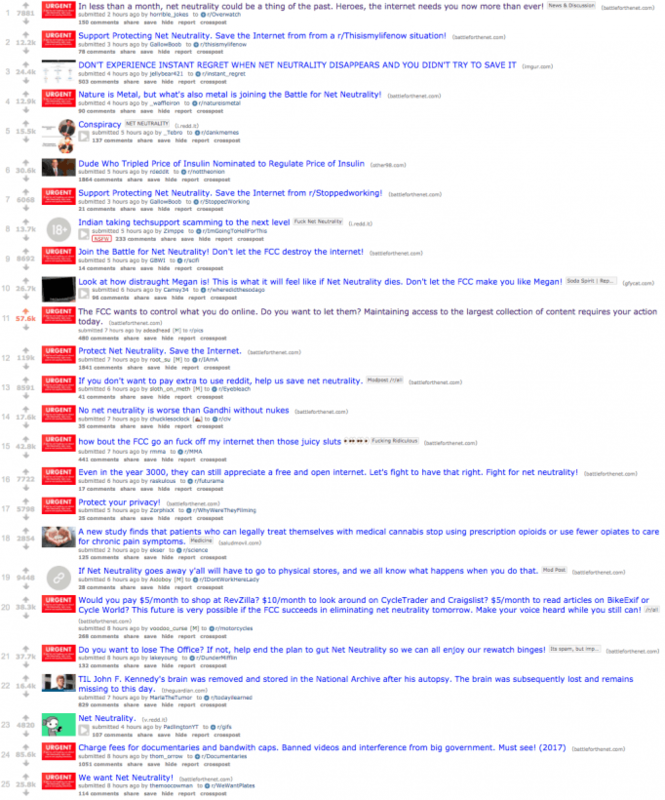 The front page of Reddit has lit up in red with numerous posts encouraging fellow members to take a stance against the impending collapse of net neutrality. At the time of writing, 22 of the 25 posts appearing on the website’s leading /r/all page are somehow related to net neutrality. Most of these posts are linking to a website called Battle for the Net, advising netizens how to submit their complaints about the FCC’s net neutrality bill to Congress. Created by non-profit internet activist group Fight for the Future, the website also provides a suggested script to follow when calling Congress. In a formal announcement yesterday, Federal Communications Commissions chairman Ajit Pai officially laid out his proposal to remove crucial web consumer protections by dropping the standard classification of internet service providers as utilities. In the event that the FCC does indeed succeed with its push to negate net neutrality, users might be forced to subscribe to – and pay extra for – various bundles and tiered internet plans in order to access different sites and web services. As someone who browses Reddit pretty much every day, it is truly wholesome to see the community put aside its differences and ongoing quarrels to stand united against the FCC and its disturbing scheme to sell the internet to a handful of shady overlords. We owe it to each other to give our best effort to keep the internet open and free. Stay vigilant, Redditors. The battle is far from over.